This sounds good, and the example of the humor you shared made me smile. One for the wish list, for sure. Thanks for the great review! That one made me chuckle too! I think the humor was really essential because it was sad how these characters loved each other but couldn't be what the others needed them to be. I'm on the fence about this one. I thought the *idea* behind his first book, One Day, was genius but the execution was sorely lacking. I have the feeling that his new book might feel the same way to me..this would definitely fall under a "wait for the paperback" heading for me. That's fair. I liked it but it never felt like one of those books I just could not wait to pick up again. I really enjoyed Us! I thought it might be merely a light, humorous read, but there was a real depth, I thought, to the character of Douglas, and to some of Nicholl's insights on long marriages. As someone who's been married a long time, and as the parent of a teenager, there was a lot I could relate to in this book. 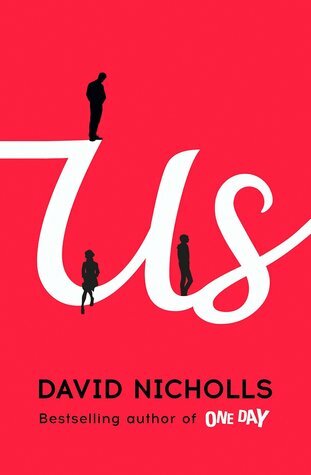 Nicholls is right on the mark, in some ways, about what it can be like to parent a teen--you would do anything for them, but they know just how to push your buttons . . .and you can tell they think you don't understand them at all! The ending, I thought, packed quite an emotional punch. I kept oscillating back and forth throughout the story. I couldn't decide if the marriage and the family could (or should) be saved! The aspect of not knowing is a plus, I think. That inability to see the things that are right in front our faces is a failing that I'm sure many of us share with these characters. This sounds like a book I would very much enjoy! Thanks for being a part of the tour. I really loved this book, especially the humor -- the passage you quoted is a great example. However, as someone who's raised 3 teenagers, I kept wondering why Douglas and Connie let Albie get away with his bad behavior!